Barkerville Gold (BGMZF, BGM.V) is advancing it Cariboo Gold Project in British Columbia. The Cariboo Project is a district-scale, massive land package loaded with gold mineralization (over 110 gold-bearing streams on the property). Osisko Mining took operational control of the Project, with the transition beginning in mid-2015. Chairman, Sean Roosen, took the old Osisko Mining’s Canadian Malarctic Project purchased for about $90,000 and developed it into what is now one of the largest gold mines in the world, selling it to Yamana/Agnico-Eagle in deal worth nearly US$3 billion. BGM currently has a resource consisting of a little more than 3 million ozs of measured, indicated and inferred gold averaging 6 grams/tonne. It also has an operating mine at the Bonanza Ledge/BC deposits which has been successfully tested recovering over 20,000 ozs of gold at a 91% recovery rate. This is important for two reasons: 1) the mine will used to generate cash flow to help fund the massive exploration program in progress; 2) it confirms that the ore can be extracted economically at the current price of gold. The current market cap of BGM using the 555.6 million fully-diluted share-count is US$194 million. It would be a mistake to dismiss this investment opportunity because of the high share-count. The resource could easily end up at least 3-4x larger than the current 3 million ozs. with a production profile of 400-500,000 ozs of production per year. With a higher price of gold, this company has $1 billion market-cap potential. Even if there’s 1 billion fully-diluted shares outstanding at the time, that’s a triple from the current price. That said, I can guarantee that Sean Roosen did not just invest another $1mm of his own money for only a triple. 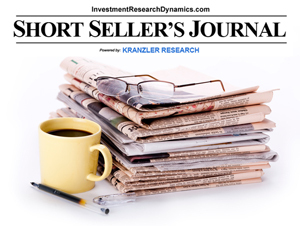 This analysis is an excerpt from the opening market commentary in my April 19th issue of the Mining Stock Journal. I was looking at some charts with a colleague two weeks ago and was startled to discover that a very quiet bull move has begun in the miners. Like the move that began in late 2015, it seems that some of the junior miners per GDXJ have gotten the party going. As you can see in the chart above, GDXJ is up 12.8% since December 7, 2017. GDX is up 9.5% since March 1st. Some individual stocks are up quite a bit more than the indices: AEM up 18% since March 1st, EXK up 49.7% since Feb 9th, Bonterra up 25% since March 1st, etc. In my opinion, the charts in the sector are beginning to look quite bullish. I would like to see the Comex gold futures open interest drop 70-80k contracts – it was 499k as of Friday’s close. However, if a bigger move than has occurred already starts now, the big Comex banks will be forced to cover their large short position in gold futures. This will “turbo-charge” the move [in fact, per the latest COT report, the Comex banks continue to cover shorts and reduce their net short position and the hedge funds continue to dump longs and add to shorts – historically this shift in trader positioning has preceded big bull moves in gold/silver]. Wholesale silver eagle premiums are creeping higher, as are retail premiums. Perhaps the big inventory overhang that had formed over the last year is starting to clear out. Also, silver mining stocks, especially the ones that actually produce and sell silver, have been quietly outperforming just about every stock sector (I have had a buy recommendation on a smaller silver producer since early October 2017 – the stock is up 20% since that buy recommendation (I own it) and it’s up 47% since it bottomed in December. From a fundamental standpoint, given the deteriorating financial condition of the U.S. Government and the escalating rate of inflation and geopolitical risks, the planets are aligned for a big move in the precious metals sector. If the banks continue to reduce their net short position in Comex paper gold – and concomitantly the hedge funds continue to reduce their net long position – then both the planets and the stars will be aligned for a move in the sector that I believe will take a lot of market observers and participants by surprise. 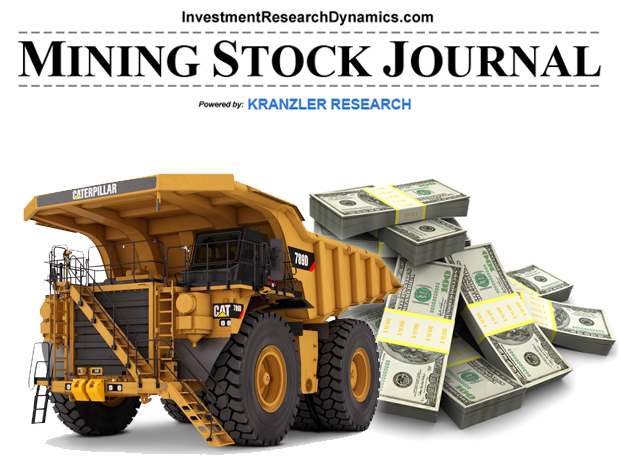 The Mining Stock Journal is a bi-weekly (twice per month) newsletter that offers in-depth precious metals market commentary and, primarily, junior mining stock ideas. My goal is to find the hidden “gems’ ahead of herd. You can find out more here: Mining Stock Journal information. I first presented Almadex (AXDDF, AMZ.V) in the April, 14th 2016 issue of the Mining Stock Journal at 27 cents. After announcing on Monday an investment from Newcrest Mining in its flagship El Cobre Project, the stock traded as high as $1.31. I present the case for Almadex to be at least a 5-bagger from here in this Seeking Alpha article just released. As soon as I have time to analyze the new “Spinco” stock that will be spun-off from Almadex to shareholders, I’ll present a detailed analysis to MSJ subscribers. Almadex Minerals (OTCQX:AXDDF) was formed as a spin-off from Almaden Minerals (AAU) in mid-2015. Almadex is comprised of several exploration properties plus Net Smelter Royalty interests on projects managed by other companies. The idea behind the original transaction was that the value of the parts was greater than the sum of the parts under one corporate umbrella. The crown jewel transferred to Almadex is the El Cobre copper-gold porphyry project in Veracruz, Mexico. A porphyry deposit is a deposit in which minerals like copper, gold and molybdenum are disseminated in a stockwork of small veinlets within a large mass of hydrothermally altered igneous rock. World-class copper-gold porphyry deposits can be worth several billion dollars. Is Gold Ready To Move Higher? The simple answer to that question is: who knows, eventually it will. I like to look at the Commitment of Traders report for signals. I think the COT offers better information than looking at charts, although I like to use my COT analysis in conjunction with charts. My fund partner keeps a database of COT gold and silver data going back to May 2005. Over this time, there’s been a strong correlation between the direction of gold, the net long position of the hedge funds, the net short position of the banks and the total open interest in gold (silver) futures. Over this time period (Since May 2005), the total open interest in Comex gold futures has averaged 429k contracts. The hedge fund net long position in gold futures has averaged 142.8k and the bank net short position has averaged 168.1k contracts. Since 2015, we’ve had two price cycles starting with the low in December 2015. At the December 2015 low in gold, the hedge fund net long position was 9,750k contracts and the bank net short was 2.9k contracts. The December hedge fund net long was an extraordinary low net long position and the bank net short was extraordinarily low. This makes sense given that mid-December marked the bottom of the nearly 6-year bear cycle within the secular gold bull market. If we go back July 2016, the open interest in Comex gold has declined 206k contracts – a staggering 26 million ozs – 737 tonnes (25% worth of gold produced annually). The Comex banks were short an eye-popping 340k contracts – 34 million ounces, or 964 tonnes of paper gold. This represents an undeniably enormous effort by the Fed via the Comex banks to cap the price of gold. As of the last COT report (Dec 12th, the hedge fund net long was 107k and the bank net short was 119k. The overall open interest was 446k, about 20k contracts above the average open interest since May 2005. In a “horsehoes and handgrenades” context, we should have seen the bottom a week ago. The open interest report thru Tuesday (Dec 19th) showed 446k open interest. Assuming most of that drop in o/i was decline in the hedge fund net long and bank net short, we should start to head higher, but don’t expect this happen continuously, in parabolic crypto-coin fashion. The gold bubble is yet to occur. I can’t promise that gold will move higher from here. The best we can do is assess probabilities based on historical data relationships as they apply currently. I want to mention briefly that Dennis Gartman has exited the long position in gold in his theoretical portfolio. Gartman’s market calls have a spectacular track record as a reliable contrarian indicator. I kid you not. This would suggest that the gold market is at or near a bottom. 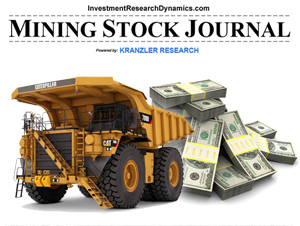 Back in the September, I advised my Mining Stock Journal subscribers that I suspected the coming sell-off in gold – manipulated sell-off, of course – would take gold down to mid-$1240 area. It hit $1241 on December 12th. Sometimes the coin does indeed land on “heads” when I call “heads.” I also discussed the hedge we were implementing on our mining stock portfolio and provided details on the my opinion of best way for subscribers to hedge a junior portfolio. The hedge easily saved us at least 7% (700 basis points) of performance this quarter. The stock I presented in the last issue (Dec 14th) is up 12% and it’s still highly undervalued, especially given that it will start producing in late 2018. 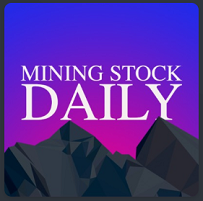 You can learn more about this stock and subscription details using this link: Mining Stock Journal.